Concours Motorcar Company was an exotic and collector car business in Orange County. Founder, Jonathan Michaels, is a passionate car enthusiast and working with him on the launch of CMC was one of my favorite projects. The original business concept included a dealership and brokerage, as well as a podcast and web based show about car collecting. I suggested additional revenue model ideas including a fractional ownership car club and day trips that allowed participants to drive a fleet of supercars. As competitor research, we participated in a similar driving tour in Texas. I used to make fun of people who drove Lamborghini’s — until I drove one myself. What a blast! Going to the Concours d’Elegance in Pebble Beach was great fun too. 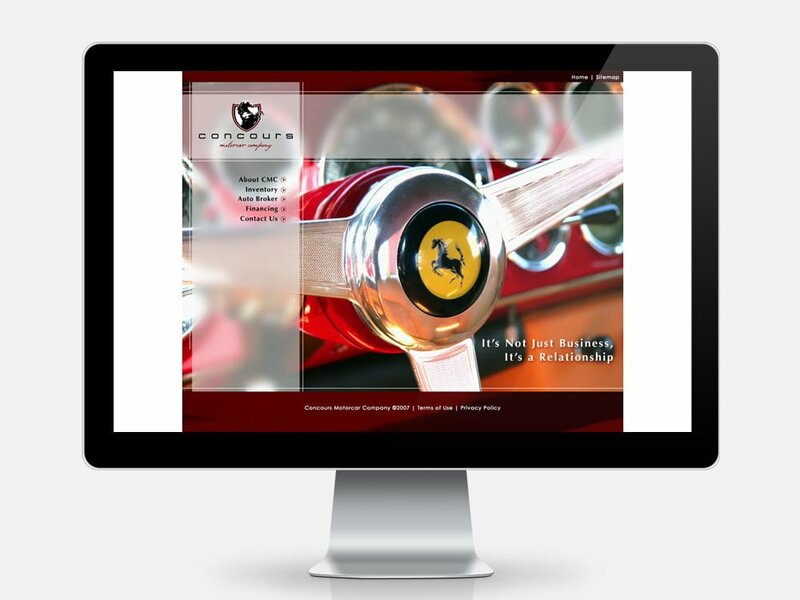 In addition to working with the company on strategy and operations, I also developed their website. 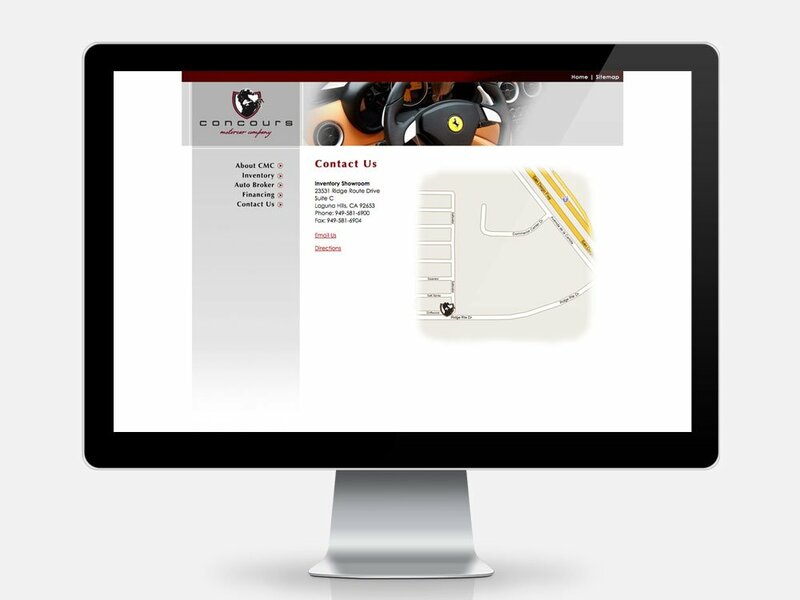 The front end site design was done by the very talented Robert Pfeifer at Effusion Creative Solutions. 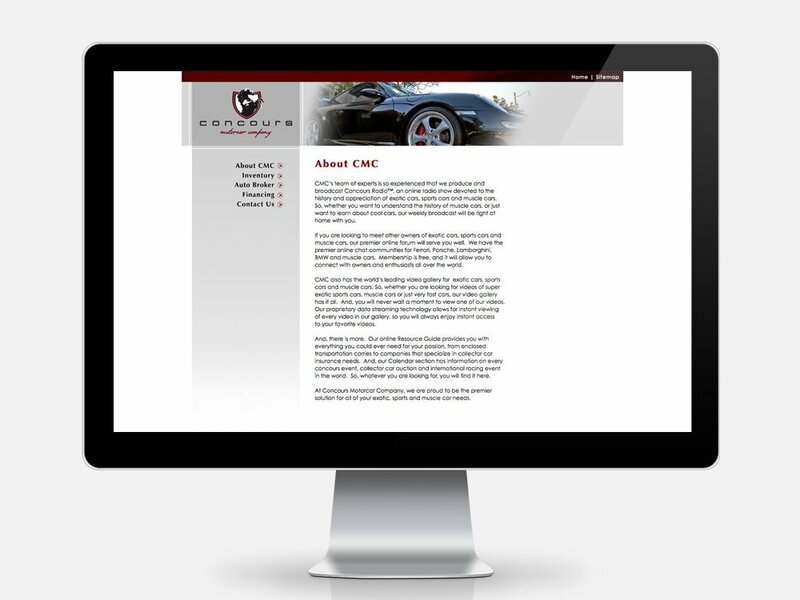 I was responsible for the rich media content management system, theme development, and integration with dealership software.